Give those you work with something they’ll love and use throughout the year. Place an order and cross it off your list – we’ll take care of the wrapping and delivery for you. Purchase just what you need with no hidden charges or fees. Create a custom journal to help them organize thoughts and ideas. 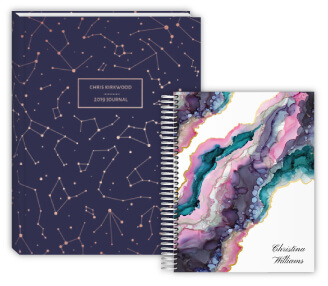 Our journals come in both 8.5x11 or 6x8 sizes and in your choice of a soft laminated, synthetic with frost sheet or hard book cover. You can also pick from silver spiral or sewn book binding. 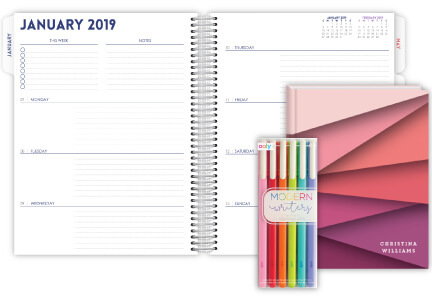 Our planners are the ultimate organizational system for busy lives. They are available in 8.5 x 11 or 6 x 8 sizes; laminate, synthetic and hard covers; silver coil or sewn bound binding and a variety of inside layouts and formats. A selection of pens perfect for planning is also included. 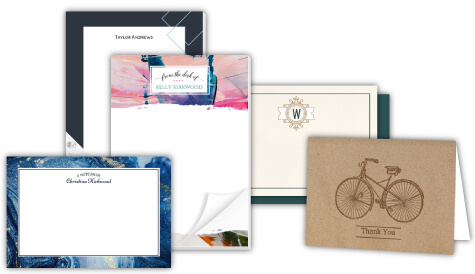 Elevate correspondence with personalized stationery that showcases the recipient’s style. 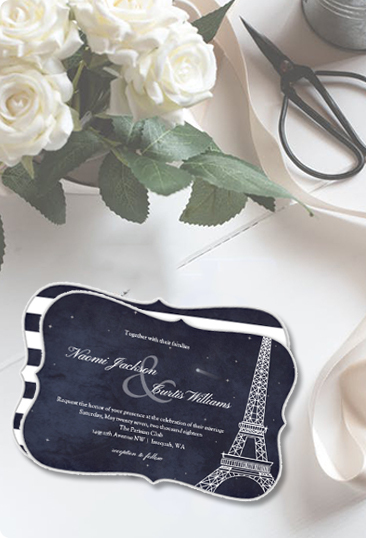 Add a monogram, name, logo or photo to create a truly unique gift. Available in notecards, flat cards, notepads and more. 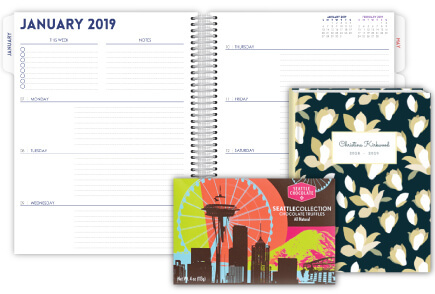 PurpleTrail planners can be fully personalized for the way they plan their days and are available in a variety of formats. They are available in 8.5 x 11 or 6 x 8 sizes; laminate, synthetic and hard covers; and silver coil or sewn bound binding. A sweet treat of gourmet chocolate is also included. Create your very own gift to make your recipient feel special. 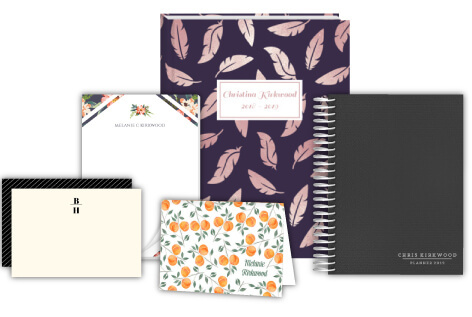 Choose from journals, planners, notebooks, stationery, ornaments, pens, gifts, candy and more. Add your own items, too! Let us know the items you’d like to include. Save time and let us do the rest.